a ska loving geek: the final curtain! here is sketch 60, my final sketch for twisted sketches. this twist for this was 'joy' and as you can imagine, all sorts of things sprung to mind - christmas, birthdays, our wedding. But when i saw how determined our cat was to get cheese, and how happy he was after, that was my subject. 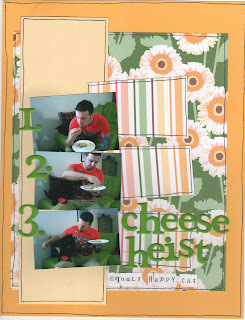 so i give you 'The Cheese Heist'. 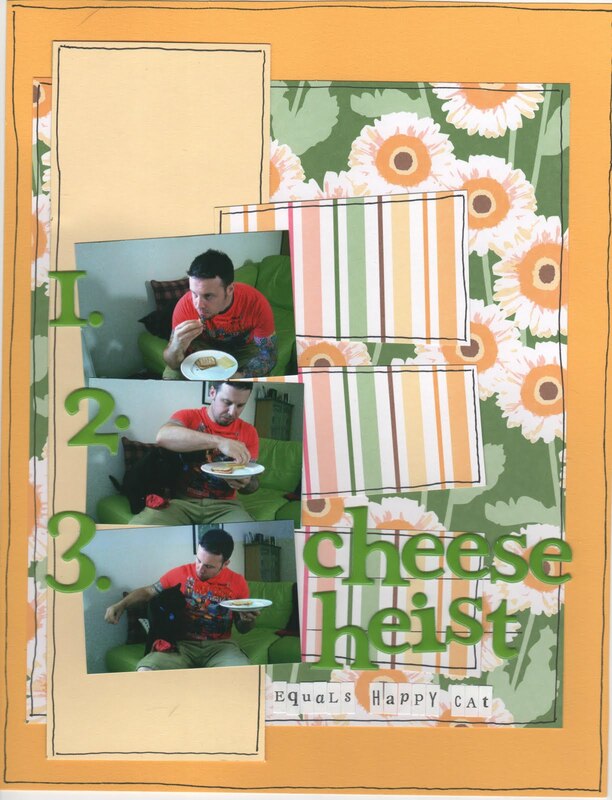 lovely page and made me smile as we also have a cat who hearts cheese.